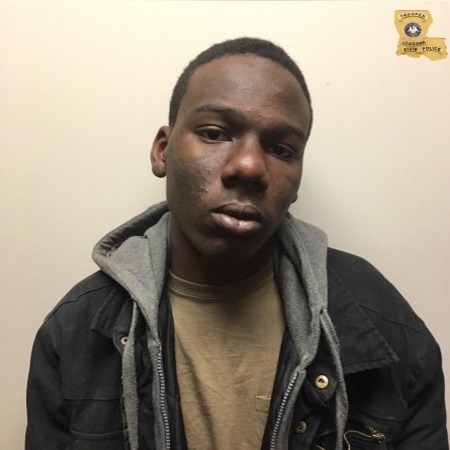 BATON ROUGE - Officials have arrested a Baton Rouge teenager accused of burglarizing vehicles in the capital area, including those of a state trooper and sheriff's deputy. According to Louisiana State Police, 17-year-old Daveon D. Coates was arrested Monday on charges of burglary, illegal possession of narcotics, and stolen firearms. Investigators say Coates is responsible for breaking the window of an unmarked Louisiana State Police unit in October of 2018, and stealing a Glock 17 9mm handgun. On Monday, Jan. 21, officials located Coates at a home in Baton Rouge where he was arrested. While executing a search warrant, investigators found more stolen weapons, including an AR-15 rifle and ballistic vest—which had been reported stolen from an EBR Parish Sheriff's unit. Various amounts of magazines, ammunition, and narcotics were found. Authorities also located wigs, gloves, and a rubber mask at the residence. Coates was booked into the East Baton Rouge Parish Prison and charged accordingly. Detectives believe he may be connected to other vehicle burglaries that have occurred throughout the capital region as of late. Anyone who may have been a victim of Coates' crimes should contact Louisiana State Police at (225) 925-3703 or Crime Stoppers at (225) 344-STOP.